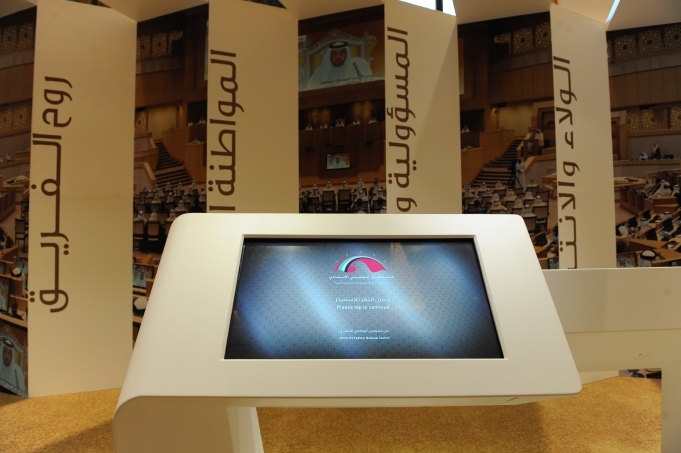 The Future Exhibition is considered as one of the key side events of the Global Summit of Women Speakers of Parliaments, held under the auspices of Her Highness Sheikha Fatima Bint Mubarak, Chairwoman of the General Women’s Union, Supreme Chairwoman of the Family Development Foundation and President of the Supreme Council for Motherhood and Childhood. The Exhibition is being organized by the Federal National Council, in cooperation with federal and local entities and the Private Sector. The Exhibition will last from the 11th till the 14th of December 2016, and will take place at the Emirates Palace Hotel- Abu Dhabi. From 9:00 AM – 8:00 PM. Supporting the UAE’s efforts in enriching invention and developing the incentive environment that encourages creativity to meet requirements of new generation, helping to build our smart nation.